Cheshire County, New Hampshire, in 2013. Charles, Nancy and their young dog, Red, live in Hinsdale, New Hampshire. Field Notes by Charles Butterfield is a collection of 24 poems inspired or informed by the poet's 50 years raising, training, and living with German Shepherds. A New Hampshire poet, Butterfield is a graduate of the Bread Loaf School of English at Middlebury College. His poems have appeared in a number of journals. 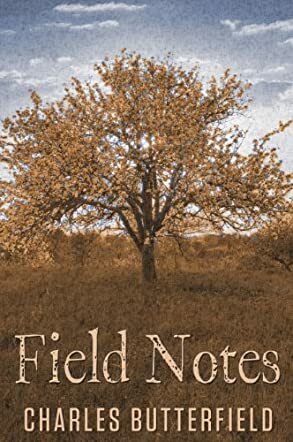 Field Notes was a finalist in Encircle Publications's 2012 Annual Chapbook Contest. Charles Butterfield is not a dog lover who writes poems, he is a poet who writes about dogs. Or perhaps it is more accurate to say he writes poems where the topic is dogs, but the themes are age, death, relationship, love -- all the concerns of a full life. From the very first poem, "A Dog Is Not a Fit Subject," the reader can see how our relationship with dogs acts as a lens to magnify our humanity. After an unsentimental list of things that dogs do at the beginning of the poem, he ends with "His whimpering home in the dark/pawing quills from his snout is not a poem/but your opening the door to him/with a rock in your gut is." Throughout Field Notes, Butterfield gives the reader poems of high quality and touching insight that struck chords with my own life. "Placebo," a short, simple poem about walking with his dog that ends with "This nothing/I take for the pain is working," echoes the contentment my own ill father achieves when walking his dog. Where others' pet poems frequently fall into sentimentality, Butterfield's remain thoughtful, sometimes painful, always real. For both lovers of dogs and lovers of poetry, I highly recommend Charles Butterfield's Field Notes.